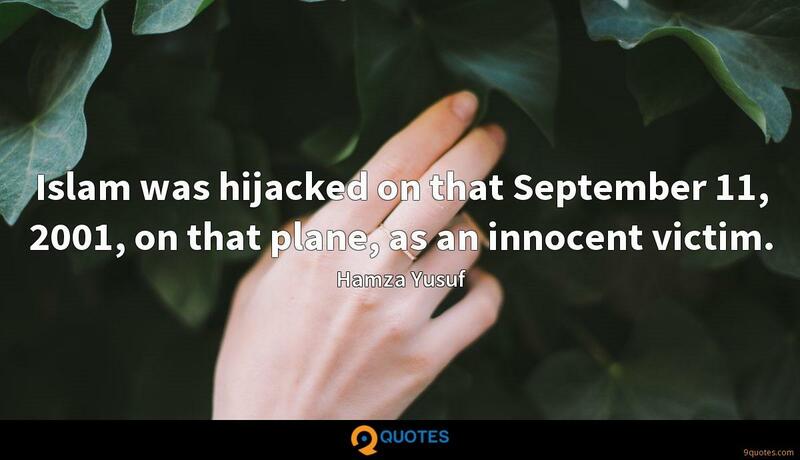 Islam was hijacked on that September 11, 2001, on that plane, as an innocent victim. Many people in the West do not realise how oppressive some Muslim states are - both for men and for women. This is a cultural issue, not an Islamic one. 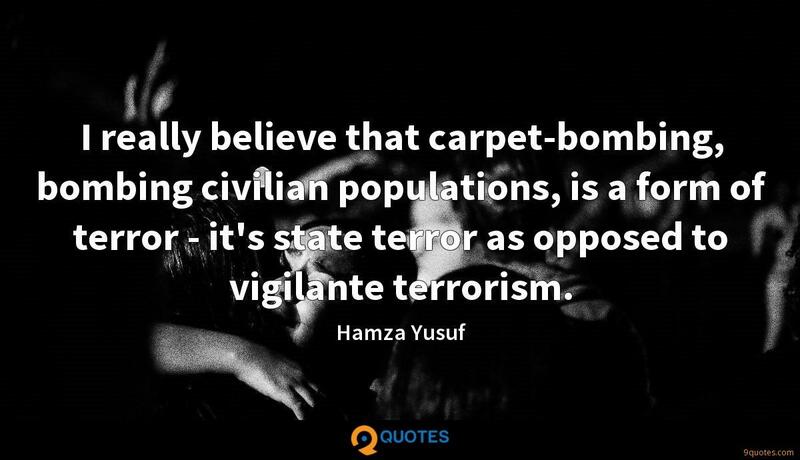 I would rather live as a Muslim in the West than in most of the Muslim countries, because I think the way Muslims are allowed to live in the West is closer to the Muslim way. September 11 was a wake-up call to me. I don't want to contribute to the hate in any shape or form. I now regret in the past being silent about what I have heard in the Islamic discourse and being part of that with my own anger. Katrina did much more damage than anything the terrorists could ever put together. People can't think when their minds are clouded with fear. 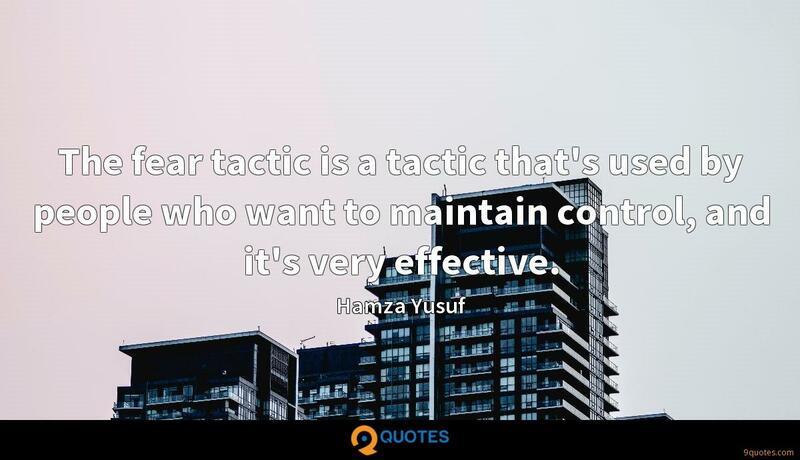 The fear tactic is a tactic that's used by people who want to maintain control, and it's very effective. A democracy is predicated on an educated citizenry. You cannot have a democracy with people that are more interested in what Nicole Kidman is doing or whoever the latest fashion model is. 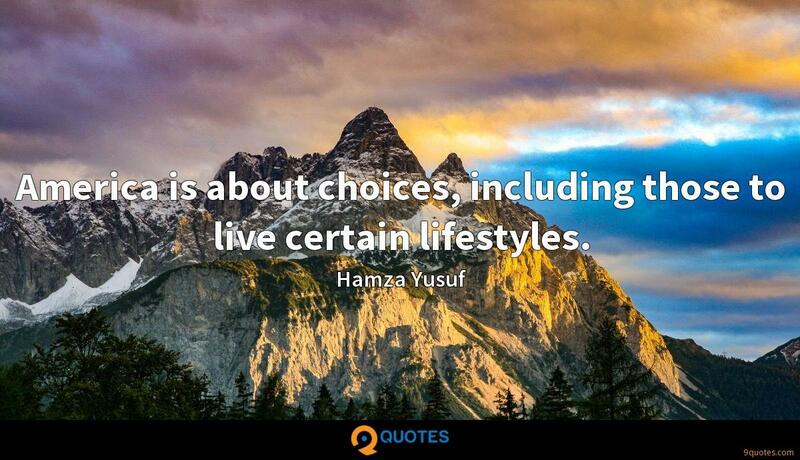 America is about choices, including those to live certain lifestyles. I know that people can live celibate lives. I did it myself for many years. 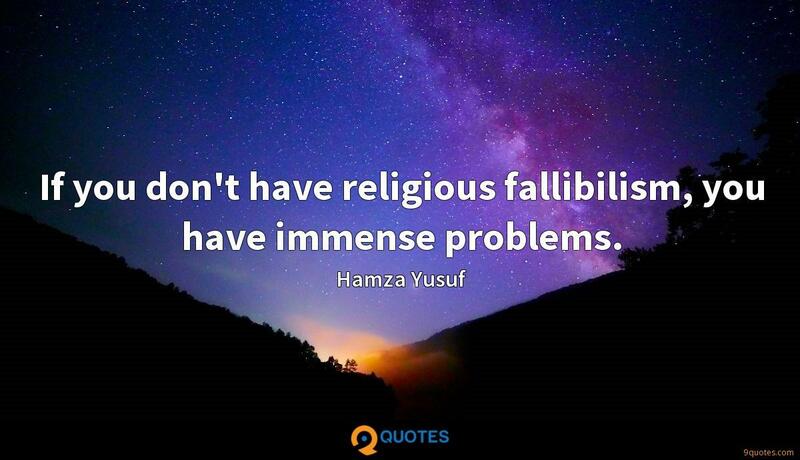 If you don't have religious fallibilism, you have immense problems. Corruption is rife in the Muslim world, and when it is coupled with the marginalization of religion, it manifests itself as frustration and becomes a fertile recruiting ground for extremism. 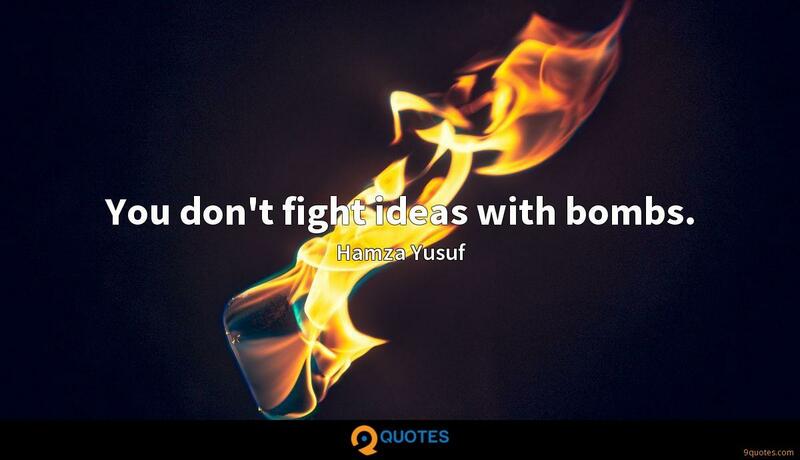 You don't fight ideas with bombs. My alignment is with what I perceive as just and fair. If it's with the Muslims, then I'm with the Muslims, if it's with the West then I'm with the West. It's about justice and fairness. 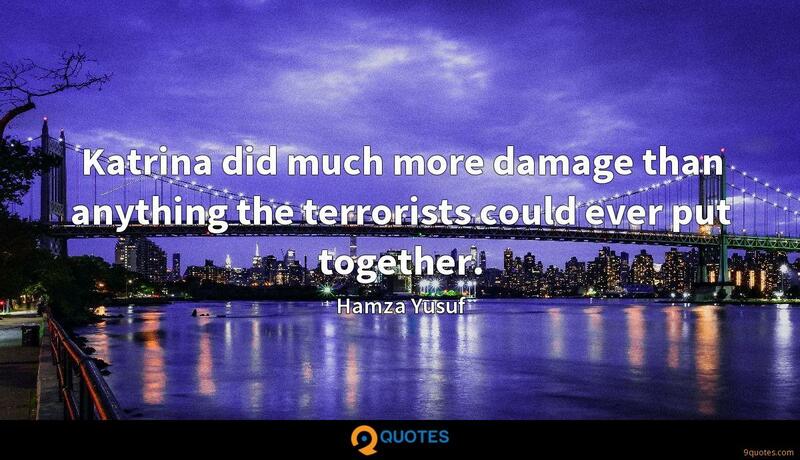 I don't align myself with the West of the Muslim world. 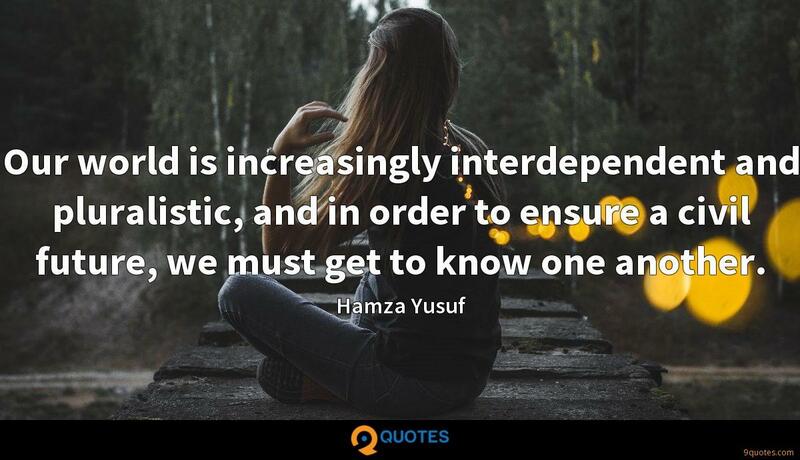 I align myself with what I perceive to be just and in accordance with my principles - the principles that I live my life by which are universal principles and that are embodied in the religion of Islam. 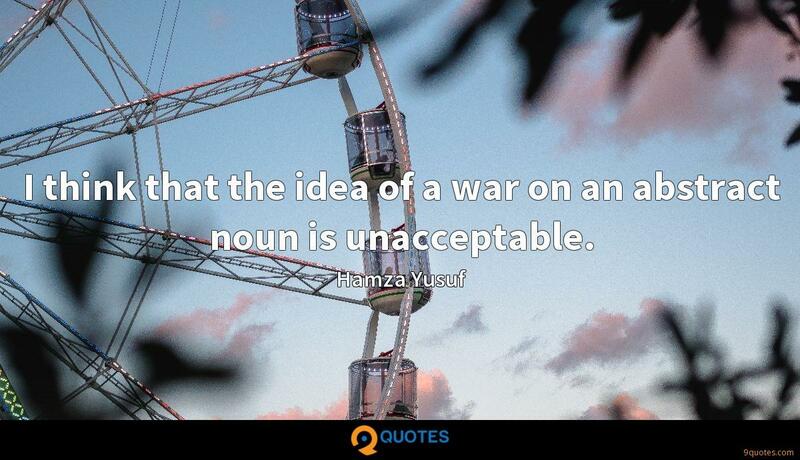 I think that the idea of a war on an abstract noun is unacceptable. Americans are generally decent and fair people with a commitment to sense, but some of us, swept up by our passions, wade too far into a sea of sensibility. Whatever one thinks of the wisdom of building a mosque near Ground Zero, this controversy now affords us an immense opportunity to examine who we are as a people. It provides us with the opportunity to get back to our foundational ideals, which have always stood as a beacon for the rest of the world. 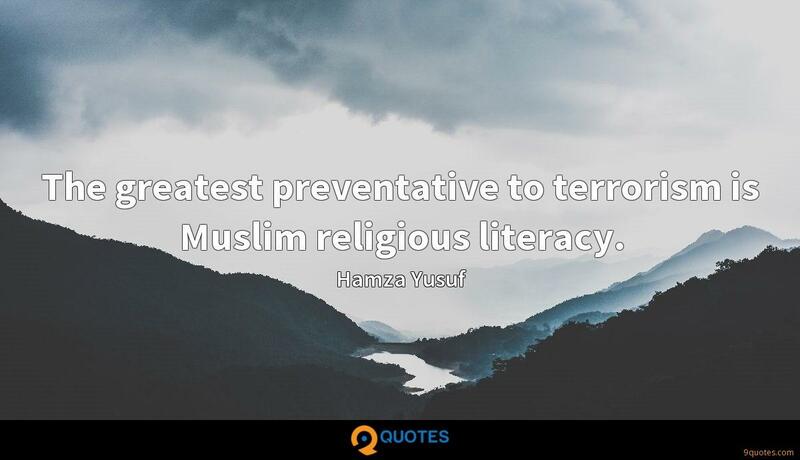 The greatest preventative to terrorism is Muslim religious literacy. The acquisition of knowledge - knowledge of both the world and of their own religion - will inoculate young people against extremist ideologies. For believers, both privilege and privation are a trial, and both demand responses: one demands service, and the other demands patience. The greatest privilege is to live well in flourishing lands; the greatest privation is to live in the midst of war, especially civil war. Our world is increasingly interdependent and pluralistic, and in order to ensure a civil future, we must get to know one another. All peoples have contributed to the overall progress and enhancement of human life. To be aware of others' accomplishments and the indebtedness we have to so many people is to appreciate and begin to respect all members of the human family.